JetBlue Airways today announced it is advancing its West Coast strategy following its successful Mint® expansion in new markets like San Diego, Las Vegas and Seattle/Tacoma over the past year. The latest series of network enhancements is designed to better meet the needs of coast-to-coast travelers facing limited competition and – with the most legroom in coach, unlimited free snacks and complimentary Fly-Fi high-speed Internet, live television and movies – plays to JetBlue’s strength as a favorite choice for transcontinental travel. Launching JetBlue service in Ontario, California, Steamboat Springs, Colorado, and Bozeman, Montana. Increasing service in Burbank, California. Expanding seasonal service in Palm Springs, California, along with Mint for the holiday season. Get Onboard in Ontario, California. JetBlue will expand its L.A.-metro service with new nonstop flights between Ontario International Airport (ONT) and New York’s John F. KennedyInternational Airport (JFK). JetBlue, already a leader in transcontinental travel, will be the only airline to offer nonstop service to the East Coast from Ontario. Service begins September 5, 2018 and Ontario will be the 73rd nonstop JetBlue destination from New York-JFK. Three New Routes in Steamboat Springs, Colorado. JetBlue will operate at Steamboat/Hayden Airport (HDN), just 30 minutes from downtown Steamboat Springs. 9:14 a.m. – 12:16 p.m. 1:11 p.m. – 7:17 p.m.
7:31 a.m. – 10:27 a.m. 11:22 a.m. – 5:20 p.m.
11:14 a.m. – 2:15 p.m. 3:00 p.m. – 4:14 p.m.
JetBlue will also grow further in the western U.S. with its first-ever scheduled service in Montana. The airline will operate seasonal flights between Bozeman Yellowstone International Airport (BZN) and Long Beach beginning December 13, 2018. 10:48 a.m. – 2:27 p.m. 3:12 p.m. – 4:51 p.m.
Hollywood Burbank Airport is approximately 12 miles north of downtown Los Angeles. 7:43 a.m. – 10:51 a.m. 11:41 a.m. – 8:05 p.m.
9:16 a.m. – 12:35 p.m. 9:58 a.m. – 6:28 p.m.
9:29 a.m. – 12:57 p.m. 2:00 p.m. – 8:27 p.m.
JetBlue will continue to offer its current frequencies of nonstop service between Long Beach and New York-JFK, Fort Lauderdale-HollywoodInternational Airport (FLL), Austin–Bergstrom International Airport (AUS), Reno–Tahoe International Airport (RNO) and Sacramento International Airport (SMF). JetBlue’s Mint flights will be offered for the second year in Palm Springs between December 20, 2018 and January 3, 2019. Mint flights will operate on a daylight schedule in both directions during the 14-day holiday peak. JetBlue Mint offers a completely rethought design and a more personal approach to service, featuring exceptional hospitality from specially trained crewmembers, lie-flat seating, tapas-style menu by New York Cityrestaurant Saxon + Parole, fresh espresso and exclusive amenity kits by Hayward and Hopper. JetBlue will operate all new flights – with the exception of Palm Springs Mint service – using its Airbus A320 aircraft. 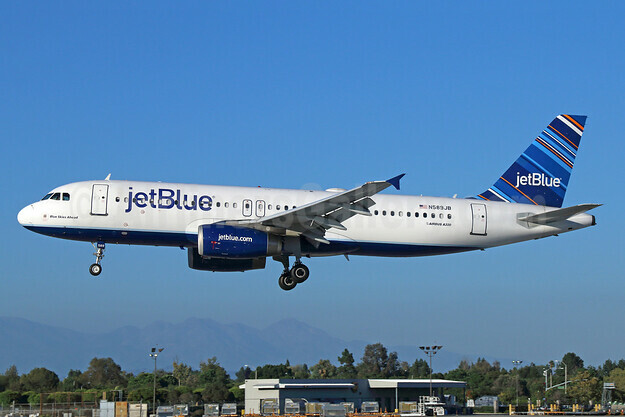 Palm Springs Mint flights will be operated using JetBlue’s new Airbus A321 with Mint aircraft. 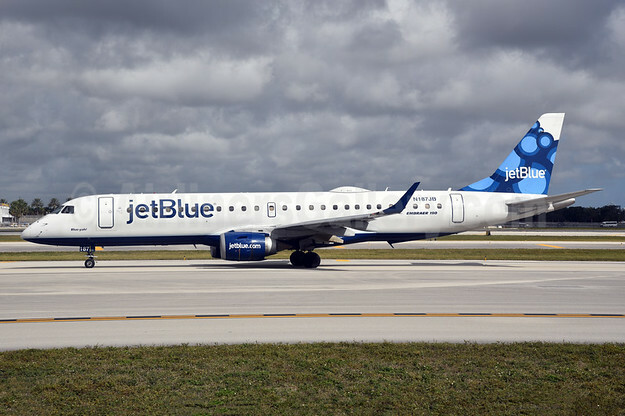 Additionally, JetBlue has also grown its industry-leading Mint flights at Los Angeles International Airport (LAX) and San Francisco, and recently introduced the premium flights to new western markets including San Diego, Las Vegas, Palm Springs and Seattle/Tacoma.